The year was 1982; I was finishing my college junior year and was getting ready to go on the adventure of a lifetime. I had been selected has one of 17 students to go on a summer internship abroad. I was going to the United States! I was the proud owner of a passport with a visa stamped on the 5th page. I was only missing the final destination when that fatal phone call arrived. “We are sorry, we have not been able to find you an employer in the US, so you will be staying in France and doing your summer program in Biarritz “. The next day, I was driving the 600 miles, with my mom that will take me to this little resort town on the Atlantic Ocean bordering Spain. We arrived late in the afternoon. It was pouring rain, waves were crashing on the shore, and my mom and I settled for the night in the only hotel room we could find that day. The next morning we woke up, and the sun was already shining. We went down to the car, and another surprise was waiting for us; it had be broken in overnight. The rain had poured in, the seats were drenched and the starter laid broken on the floor. We were not going anywhere soon. Thankfully, my parents had a good insurance and we were on our way to meet with my summer employer within a few hours. This summer happened to be one of the best summers I ever had. I worked split shifts in the kitchen of the resort. Every afternoon was spent at the beach. This is the year I learned how to surf. 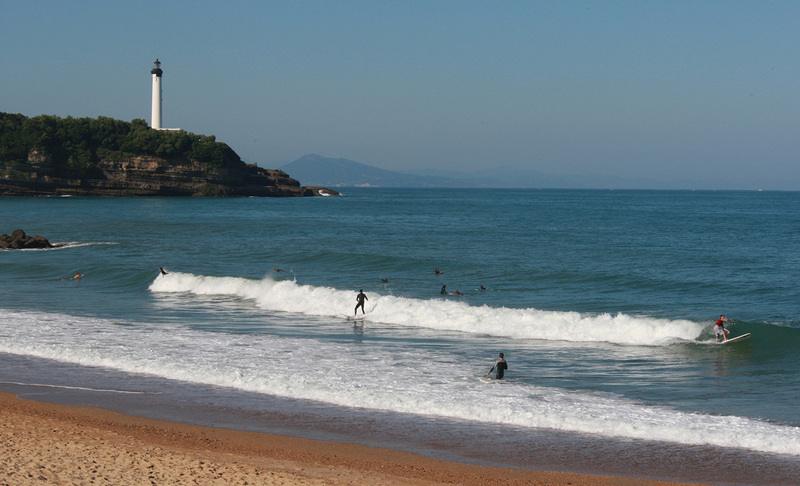 The Grand Plage of Biarritz is one of the most famous surf beaches in the Basque coast. 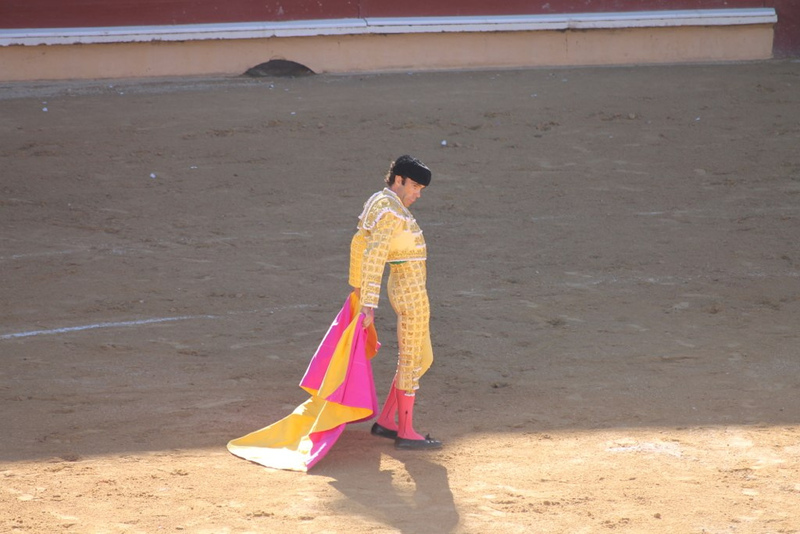 This is the year I discover bullfighting. This region of France has been influenced by Spain located 35 km south. The room service manager of the hotel was a big fan, and brought me to the many corridas held all around the region. This is the year I discovered the Basque Pelota, a sport played against a wall, call “Fronton”. The ball or “Pelote” is made out of a wound rubber center, bound with cotton, and two fine leather skins stitched together. 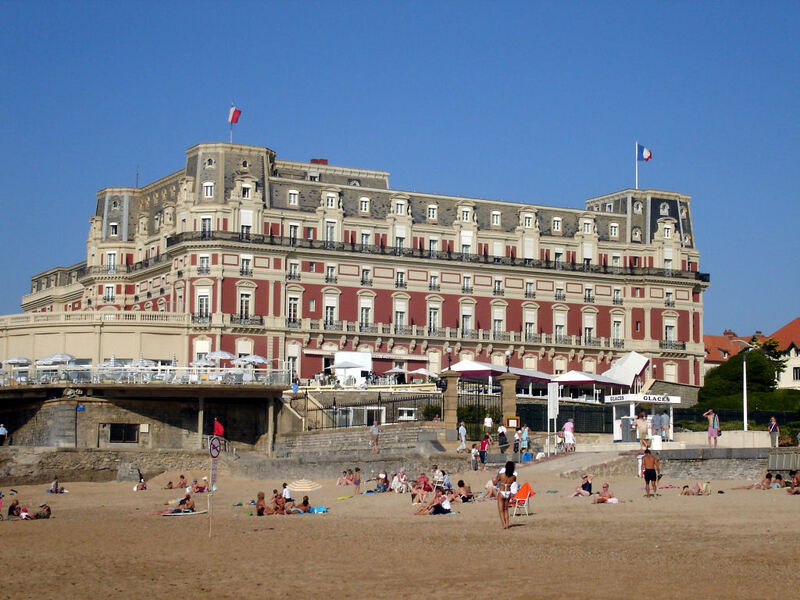 It can be played at “Main Nue”, with a “Chistera”, a “Rebot” or a “Pala”, and Biarritz hosts numerous professional competitions throughout the year. I went back several years later, and the town had not changed much. The hotel I worked at that summer is now a Sofitel; the Hotel du Palais still stands as it’s been for 162 years when this historical building was the residence of the “Imperatrice Josephine”. 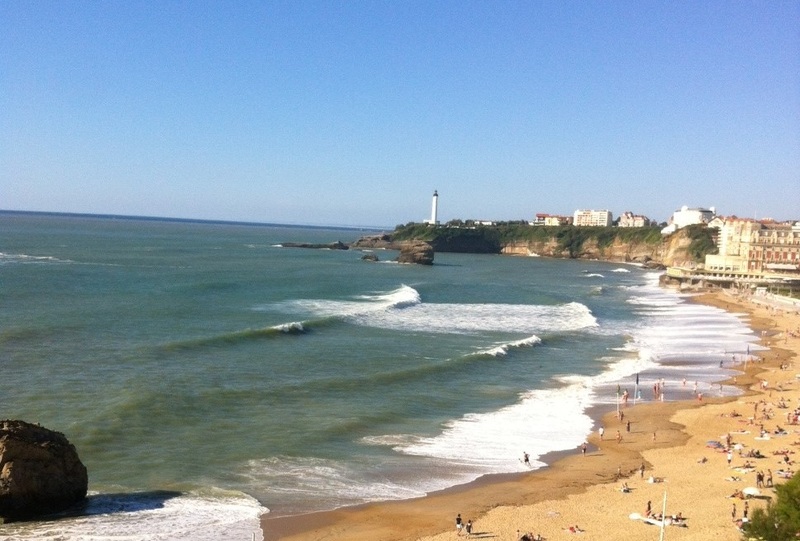 Biarritz is still know as a key surfing spot and host multiple surfing competitions such as le Roxy Pro in July, the world female long board championship. 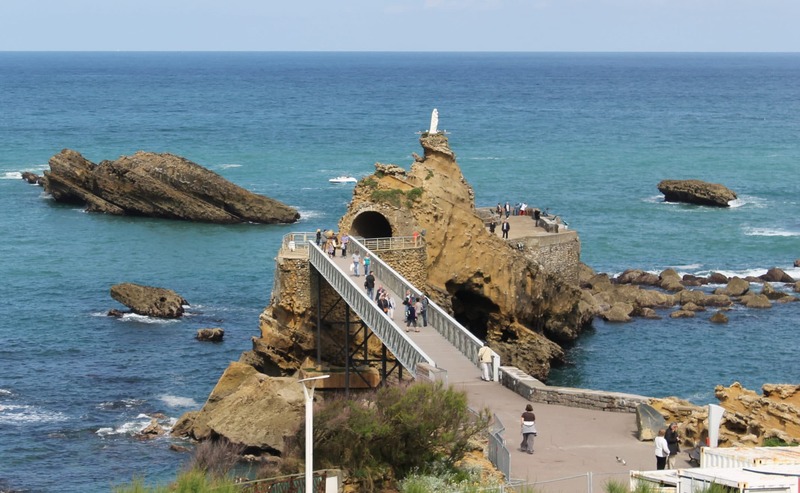 Biarritz is a bastion of France South West region. A breathtaking play ground for surfers, golfers, Basque Pelota and rugby players. It’s also a dream retreat for seawater spa therapy, health, fitness and relaxation. 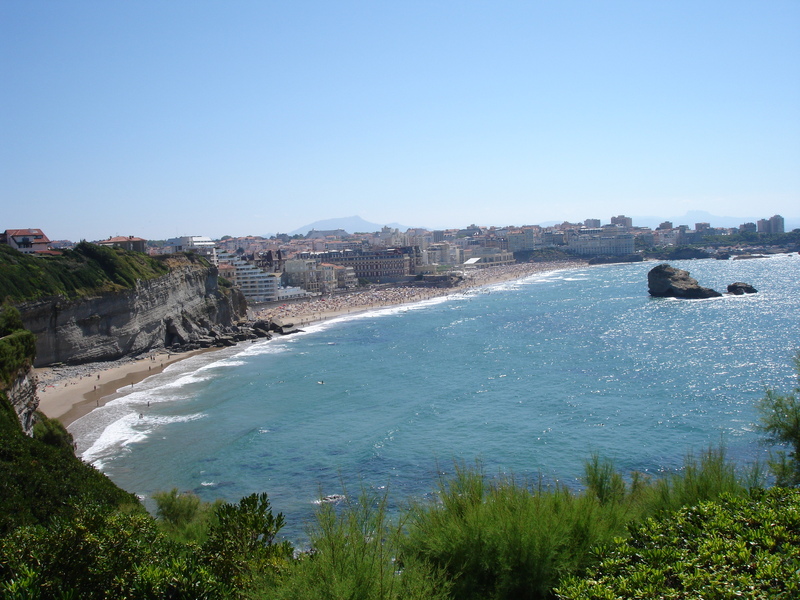 Yes, that summer was one of the best, and I encourage anyone who travels around the area to take the time and stop in Biarritz.